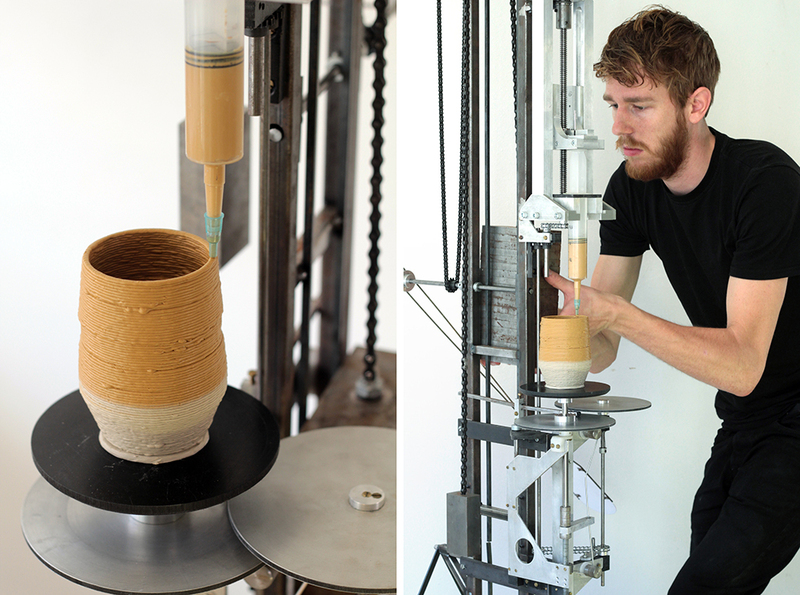 Designer Daniel de Bruin has built the world’s first analog 3D printer. 3D printing allows users to create products faster and more efficient, but according to Daniel, they are merely the result of a fashionable technique. To re-experience the excitement of making things oneself and to reclaim ownership over his work, Daniel de Bruin has built a 3D printer himself. It is an old-fashioned device producing a kind of primitive clay pots with a hand-made feel to them and a unique appearance. 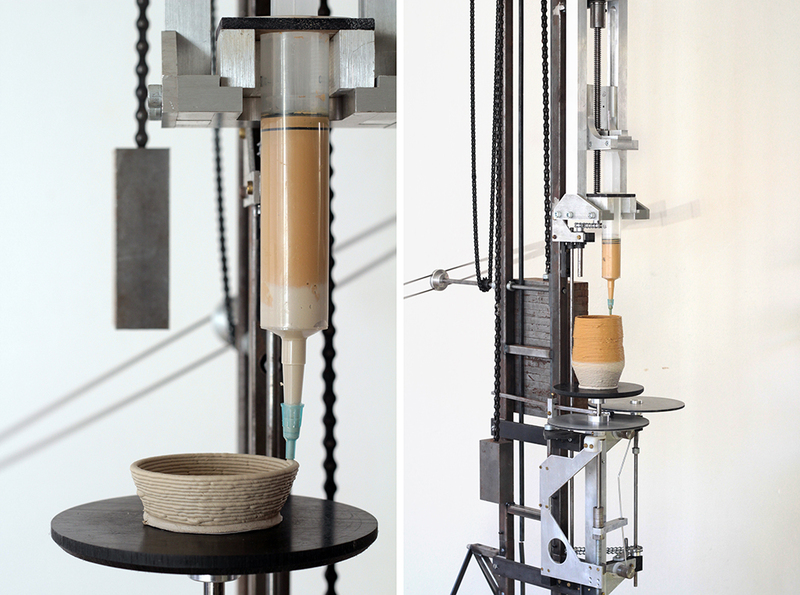 De Bruin’s device is powered by gravity through a system of weights. A weight of 10 km is lifted to operate the machine.